Driven by investments and advancing technologies that increase affordability, the space tourism industry could be worth $3 billion in about a decade. Getting out of Earth’s atmosphere and entering space is becoming easier and cheaper by the day. Compared to the $20 million that Dennis Anthony Tito, the first space tourist, had to pay back in 2001, modern space tourism prices seem like chump change. As futuristic as it may sound, future space tourists will also have more options than just spending their time gazing at Earth from the ISS. Space hotels, theme parks, and long-haul passenger flights are some of the examples of the business niches in space tourism. Several countries’ space companies are all vying for a piece from the space economy pie that’s getting bigger and bigger. SpaceX is readying its Starship for a first flight by 2020. Elon Musk’s company wants to send people to Mars as early as 2024, ahead of establishing a permanent Martian camp. Last month, Virgin Galactic‘s VSS Unity, or SpaceShipTwo, reached the edge of space again, this time with a test passenger on board. As its reusable rocket technology advances, Blue Origin is also planning on sending passengers into Earth’s orbit. Jeff Bezos has high hopes in his massive New Glenn rocket to take on Musk’s Falcon Heavy. And, according to a report from UBS AG Group, they’ve all the reason to engage in a tech war over flying people into orbit. In a report, UBS predicts the space industry as a whole would be worth $800 billion by 2030 and one trillion dollars in 2040. UBS forecasts space tourism to become a $3 billion market, and flying passengers from point-to-point on Earth, or commercial suborbital flights, to represent $23 billion in business opportunities. Many long haul flight customers, who usually spend more than 10 hours in a plane, may be willing to opt for a trip aboard a rocket that would take them to a destination in less than an hour. Judging by UBS numbers, Virgin Galactic has made a good space business niche with its rocket-powered spaceplane, VSS Unity. 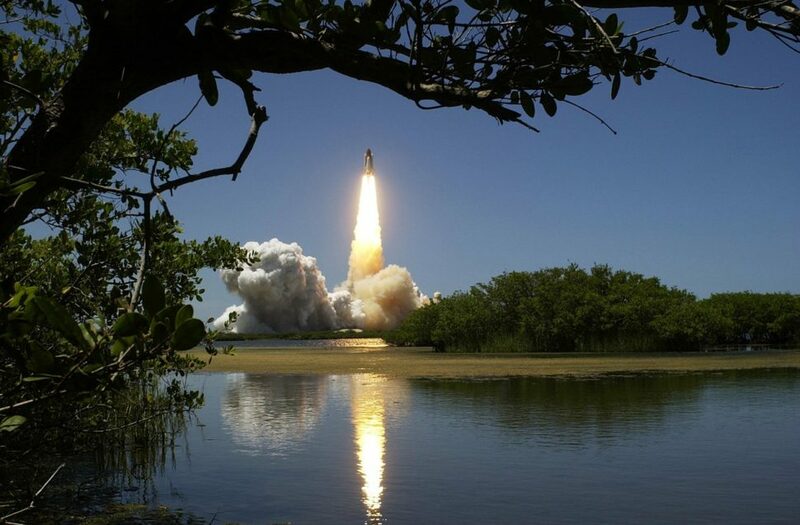 UBS attributes these interesting perspectives for the space industry to the combination of declining space launch costs and increasing funding from wealthy investors. As space companies improve their technologies, falling costs of rocket launches draw investors, which would translate into cheaper tickets for space tourists.